A great example of mix and match, period style. Our oak extending pedestal dining table, shown here, with an eclectic mix of antique walnut side and armchairs, as well as a classic antique oak hanging corner wall cupboard. It looks like they've been collecting furniture over a number of years (a favourite look for a number of our clients), for their West Sussex village cottage, which of course they have! 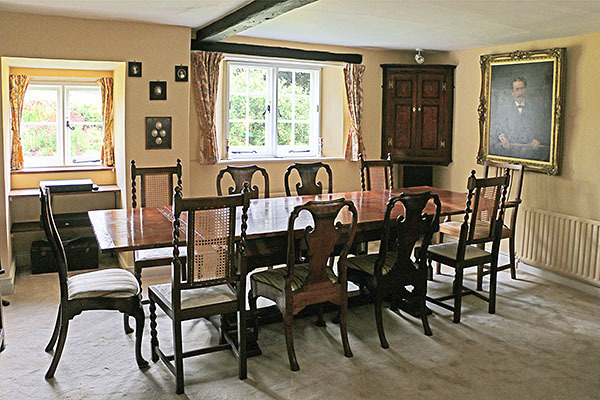 To see this table in the room, in its closed format, click: Period style oak extending table in West Sussex cottage.